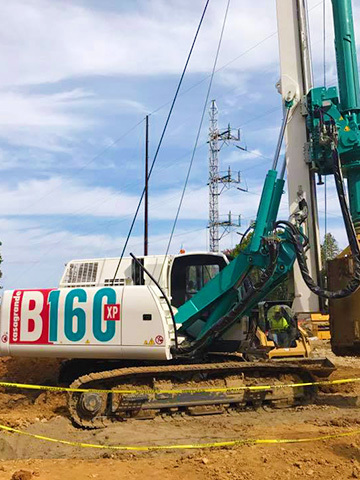 The Casagrande B160XP is a machine dedicated to giving the specialist contractor equipment to perform large diameter rotary and CFA piling. 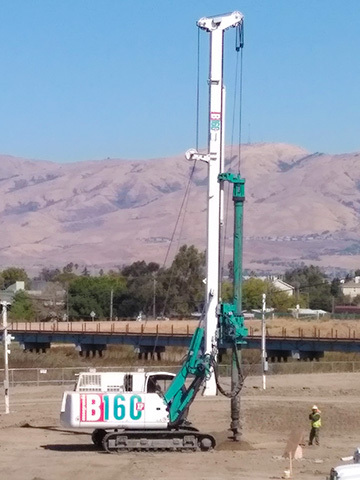 It is the result of research and innovation based on over 50 years of experience and success of the company in the field of foundations and geotechnical engineering. 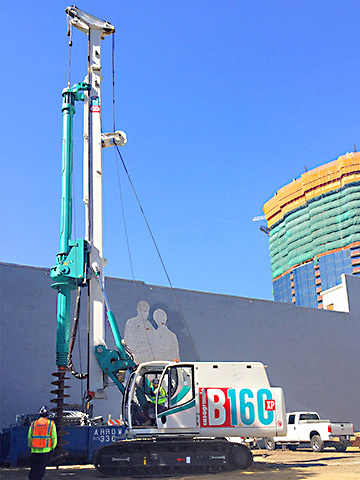 The B160XP is ideal for drilling large and small diameter boreholes. The SPM (Smart Power Management) allows intelligent engine power management in order to improve the performance and productivity of machinery. The XP technology monitors the instantaneous power and hydraulic flows and allocates the full available power according to the requirements of the task. The result is an increase in the machine efficiency. 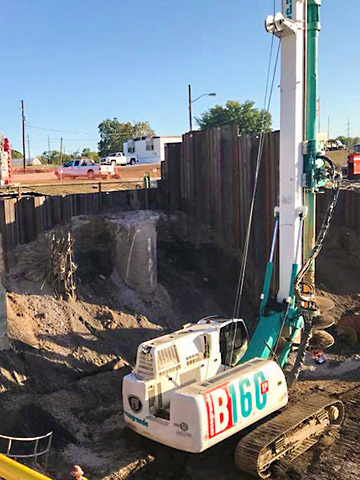 Due to the 160kNm high torque of the rotary head and to a powerful 160 kN winch, the B160XP is able to rapidly drill deep and large piles. The 205kN line pull of the crowd cylinder and rotary head stroke of 5.2 m will drive casing in to the ground with extreme accuracy. The Smart Power Management (SPM) is an intelligent engine power management system that improves performance and productivity of the machine. The SPM system monitors the instantaneous power flows and immediately allocates the available power to the different functions, so that the machine always has the maximum power available. The XP hydraulic power system uses Full Load Sensing (FLS) technology. Unlike more common hydraulic management systems, the FLS system only supplies the required amount of oil requested by the functions thanks to the interaction between pumps and distributors. It allows optimal management of the power demands and reduces losses, achieving up to the 25% of fuel saving (calculated on the basis of a theoretical working cycle). that fan speed is always related to oil temperature, reducing fuel consumption and the overall noise level of the cooling system. The B160 XP is designed to the European Union standards on safety and is manufactured to comply with the ISO 9001 requirements on quality.